We are beyond excited to announce that Space Junkies Arcade is now on the SpringboardVR Marketplace! Space Junkies Arcade is a visceral, jetpack-fueled VR Arcade Shooter where you fly through deadly Orbital Arenas in hostile space, facing off in extreme multiplayer battles. Space Junkies has an amazing team that is very excited about the VR Arcade space, and is offering the title for 0¢ per minute through January 31st to give you a risk-free opportunity to add and test the game with your staff and customers. It will be priced at 8¢ per minute starting February 1st. To add Space Junkies Arcade to your VR Library, please follow these steps in this Knowledge Base article. Included in the marketing kit is the Ubisoft's Content Guidelines, which clearly lays out the right and wrong way to promote their titles. We cannot stress enough that these guidelines must be followed. We are also going to be rolling out some exciting announcements for Space Junkies Arcade (global tournament!) over the next few weeks... we'd love your help getting the word out! 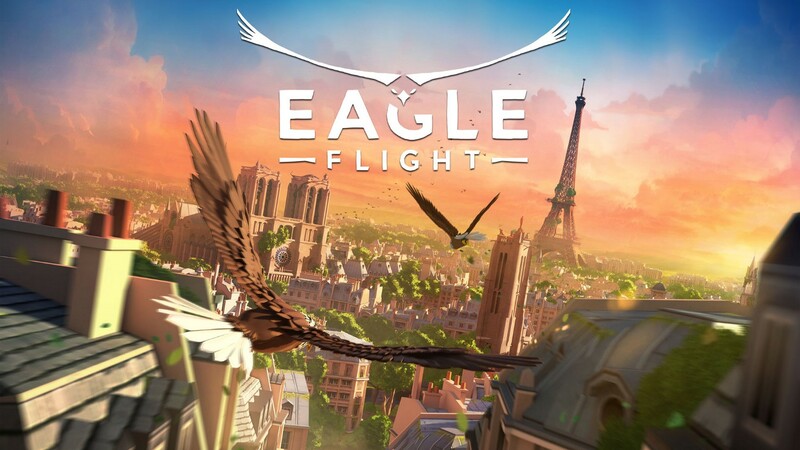 When you create your Uplay account and access Space Junkies, you will automatically have access to Eagle Flight, where you can take flight through the skies of Paris like never before through Virtual Reality! Marketing Assets are provided below.